March 17, 2013 AppleHill Farm6 Comments on Raise Your Hand if You Knew That Indiana Produced Maple Syrup! Raise Your Hand if You Knew That Indiana Produced Maple Syrup! Well? Anyone? Hmm, I don’t see any hands out there. That’s okay, I didn’t know that either. 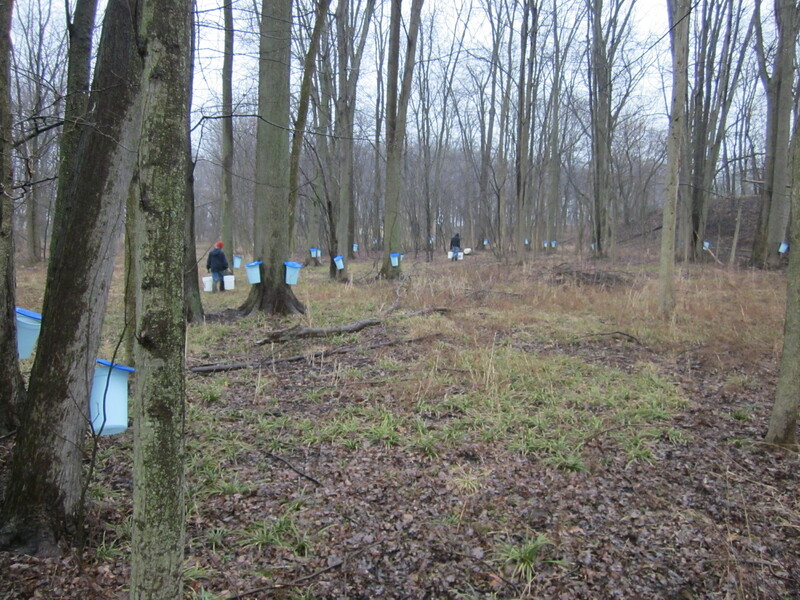 Actually, it was quite exciting when I learned that the area I was going to did maple syrup gathering and making!!! This is one of those things that I’d read about, and kind of thought would be neat to do, but never actually thought I would actually get to do. BUT. Things happen that we do not expect to happen. And thus, I have experienced the age old tradition of gathering and boiling down maple syrup. Who knew? In Indiana??? Whatever. To begin with, the people I am staying with have a few sugar maples on their property, and they do gather the sap from the trees, but they don’t boil it down at their place. Instead, they and several other people in the area take it to a friend’s house, where it is boiled/evaporated down into syrup. The first Friday I was here (the 8th), Nate (the farmer and dad of the family I’m staying with) and his family loaded up the sap they’d collected over the past couple days and drove it over to their friends’ house. Naturally, I went with them. With my camera in tow. I was so excited!!! 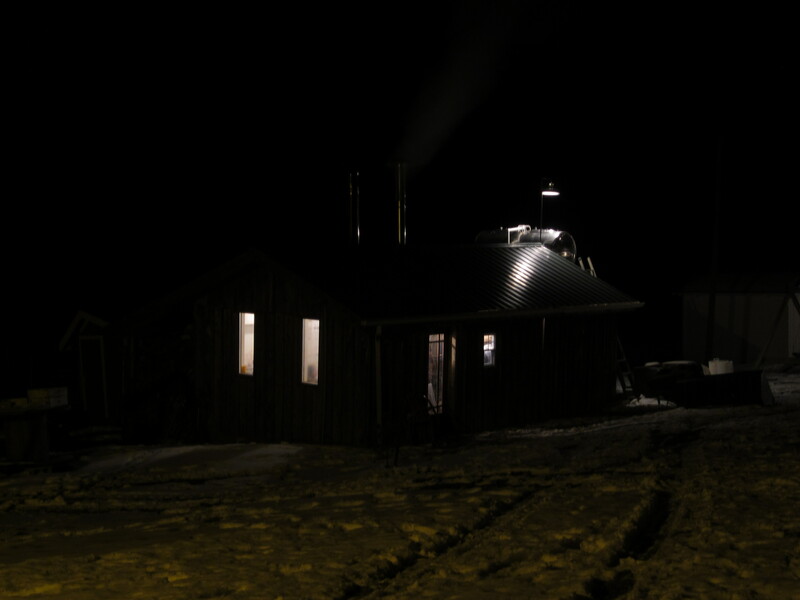 Darkness had fallen by the time we got there, but down a little hill I could see the sugar shack. It looked pretty much just like it was supposed to…a little shack with wood siding like an old barn, a couple small windows that leaked light from the inside, and a tall stack outside that was letting out the steam from the evaporating going on inside. 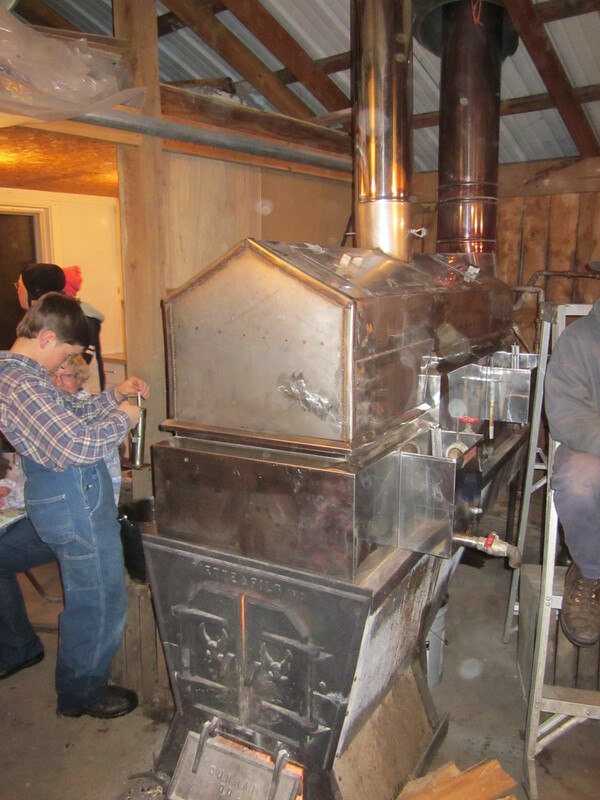 After dumping our sap into a tank above the hill, where the sap would then gravity feed down the hill into another tank that would feed into the evaporator, we headed down into the little sugar shack. Cold outside, but really warm inside. Below are a couple pictures of the evaporator, the place where they shove the wood into it is below and in the front of the machine. 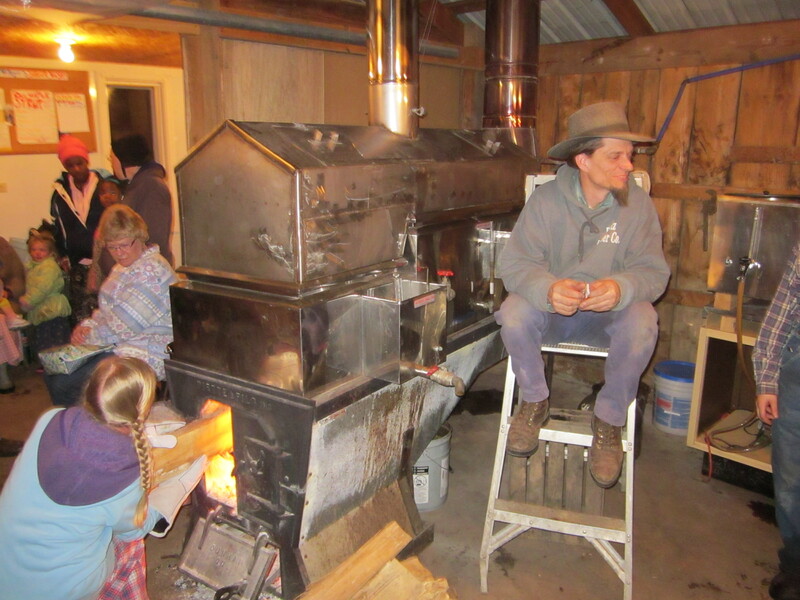 In addition to the smell of the wood and the comfortable wood heat, there was kind of a piney-sweet smell in the air. A little like I would imagine hot pine sap would smell like, although better. I guess I never guessed there would be a smell along with the whole deal. Anyway, I really enjoyed viewing all that and experiencing the sugar shack and the boiling down thing. Yesterday afternoon, I was just about done with the day’s work when the same people who boil the sap down dropped by to pick me up to go and help gather sap. They gather it from about three different woods in the area, and collect in a big plastic tank on the back of their pickup. So I hopped in and we zoomed off to get sap! This also was a very neat experience. Now, Indiana is flat. So that means the woods are flat. And they aren’t like Oregon woods cause there aren’t any evergreens or moss or ferns. Just flat ground, littered with leaves, and a lot of bare trees sticking up into the cold air. Scattered here and there throughout the woods are the sap buckets. 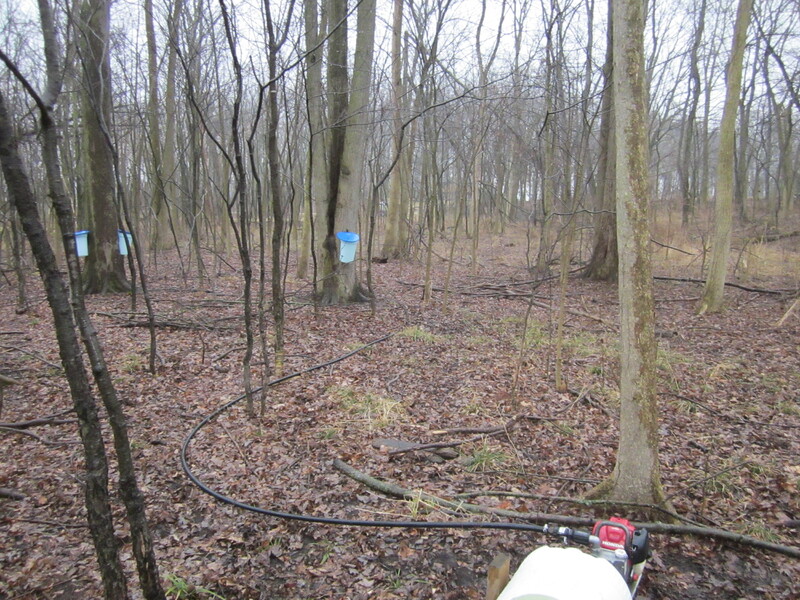 Of course, the truck can’t go into the woods, so they have a small engine that pumps the sap from a barrel we dump into in the woods out through a line that drops into the tank. It’s actually a pretty neat set up, and works great. 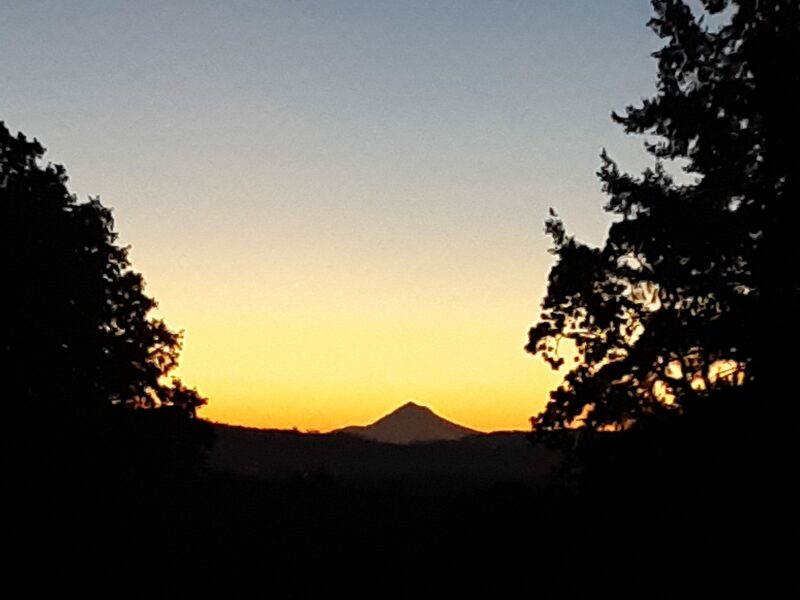 Anyway, I worked from about 5 or so until about 8, when it was getting dark. 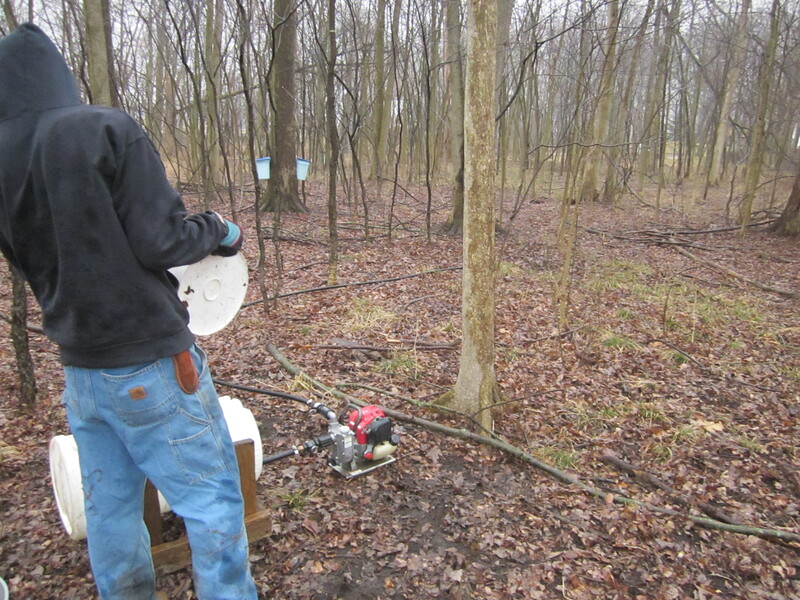 Altogether, yesterday evening we gathered about 400 gallons of sap. Oh, and you CAN taste a little sweetness just from the plain sap, if you taste it before it’s boiled down. Oh and probably the pictures aren’t very good either. So just bear with me. What a great experience. You described it very well and the pictures were great too. It’s about 6:20pm (PacificTime) right now and I haven’t eaten dinner yet. I now have a huge craving for waffles, maple syrup and little cold cream on top. Wow! That sounds really neat! Sounds like you are having fun! Sounds pretty cool, my dear bro. Enjoy the syrup and bring some back with you. Next Sooooo……I THOUGHT the first day of Spring was on March 21st…..